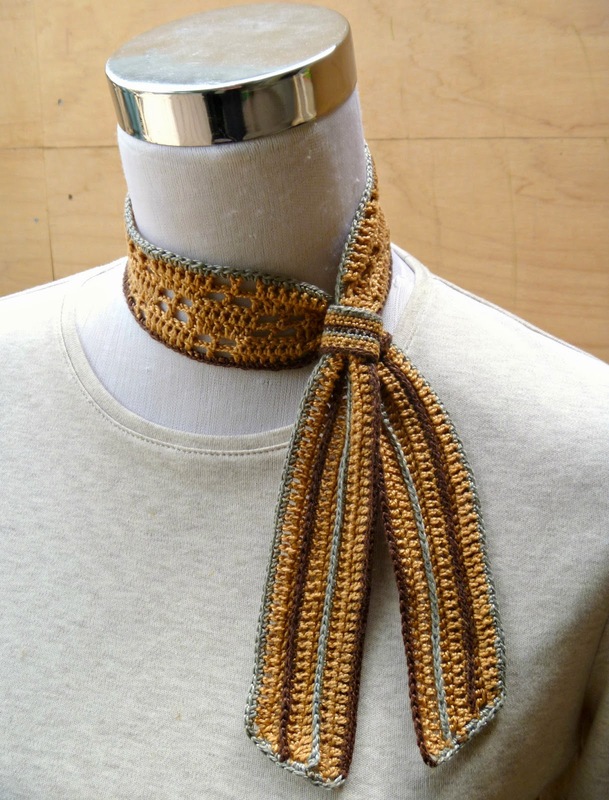 I decided to make a springtime version of the Obi Scarf, that you can wear as a necktie or as a hair tie. This pattern is really fun to crochet, so it is nice to be able to make one for warmer weather! I think neckties really smarten and add personality to an outfit. 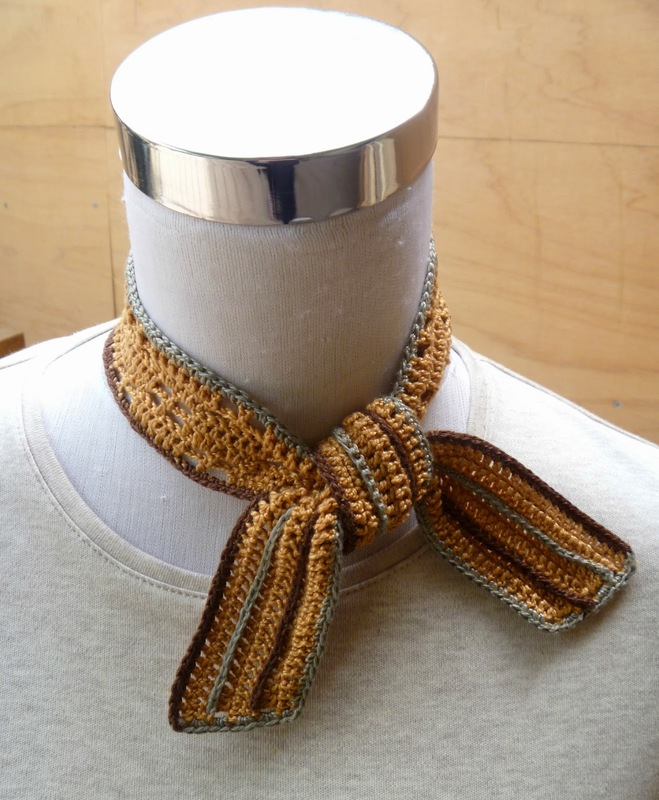 To make this necktie/ hair tie, you must have the Obi Scarf pattern that I designed for Interweave Crochet. -Use a steel hook size 1.75mm, and Pearl Cotton size 5. I used DMC "Petra". 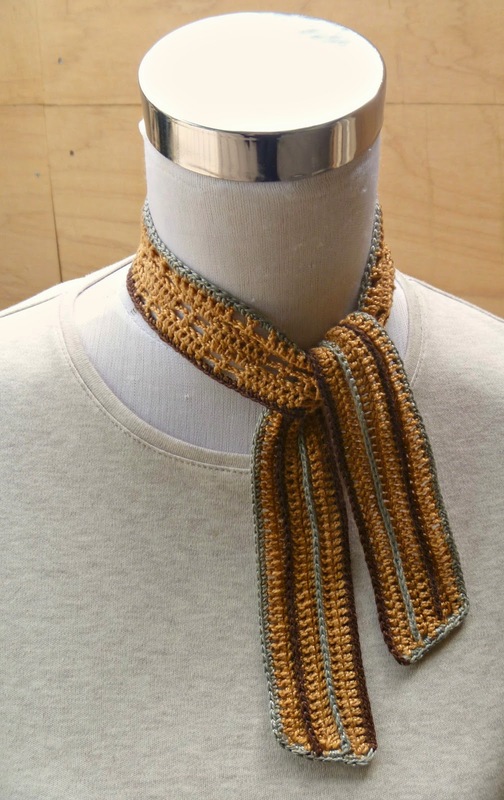 -Make 1/2 the number of stitches on the ends of the scarf, and in the center window pane stitch pattern, make 7 repeats instead of 9. -Crochet only 6 rows of the pattern. 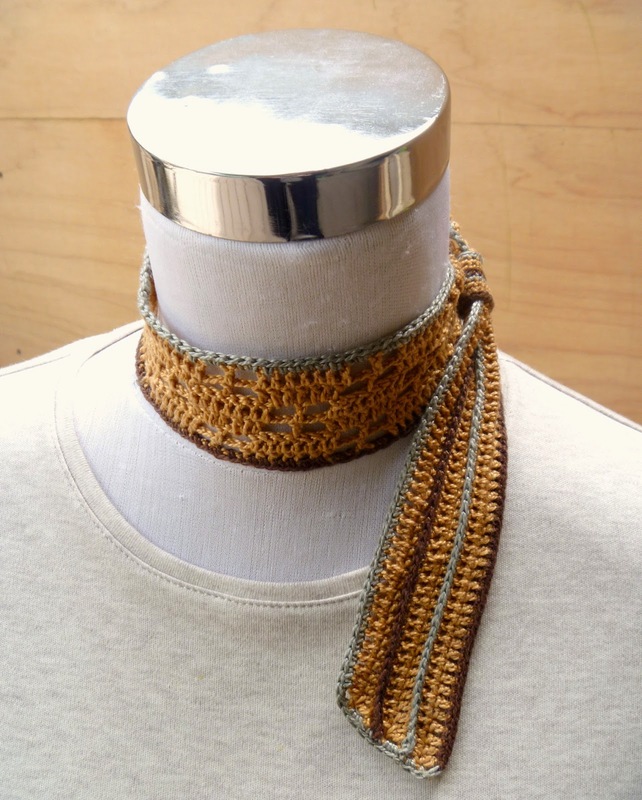 -For the Bands, you only need to chain 18 stitches when you begin. -Making the Bands is optional, depending on how you want to wear it. For the tied versions, you do not need them. 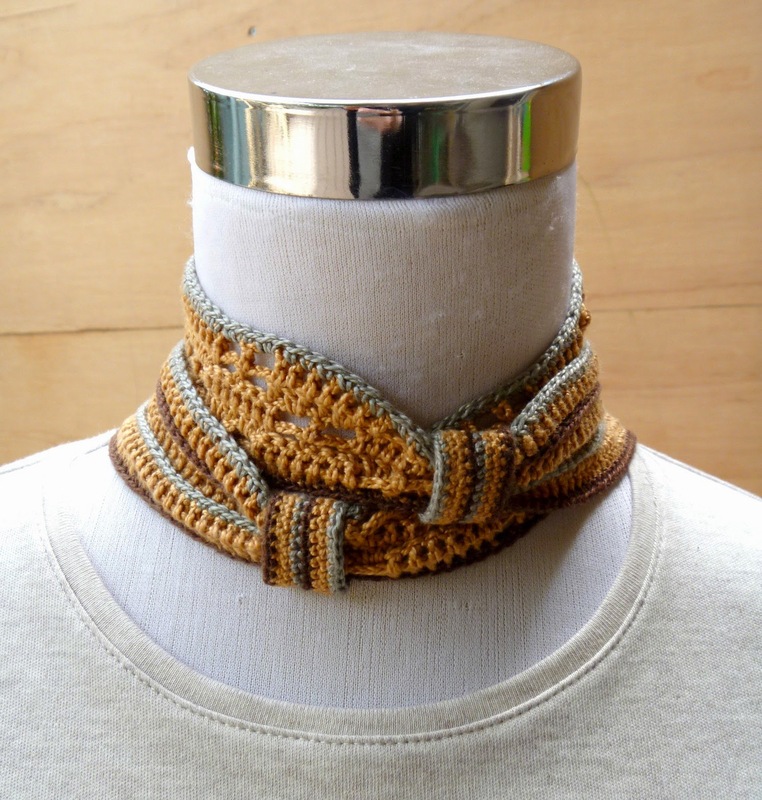 If you want to wear it like the 2nd photo below, you could put velcro on the bands to help them stay in place, or crochet a chain on the back of the front band to slip the other side through.